This half-day tour explores iconic beaches with our vehicles travelling right on the sand, so you can soak in the scenery and wildlife, such as dolphins, manta rays, turtles, soldier crabs, birdlife, birds of prey, and whales (whale season is June-October). 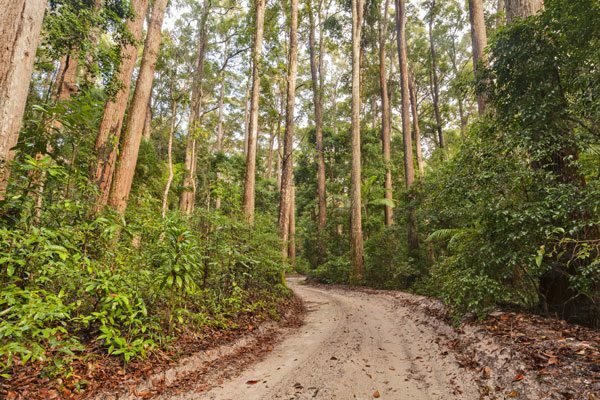 Our half day tour departs from Rainbow Beach and travels along a sandy stretch with breathtaking views, natural bushland and historical highlights. 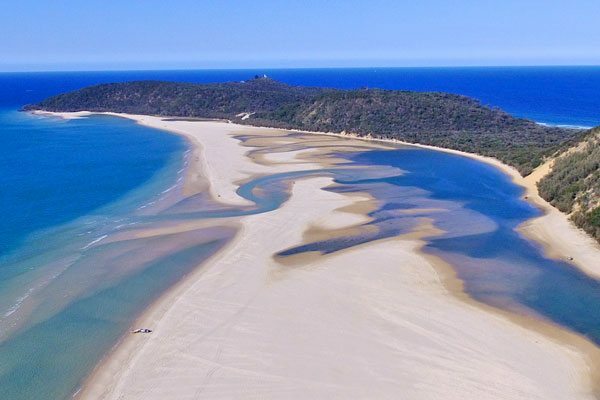 Our tour guides take you through Rainbow Beach, its connection to Captain Cook, and the stunning rainbow sands that give the beach its name. 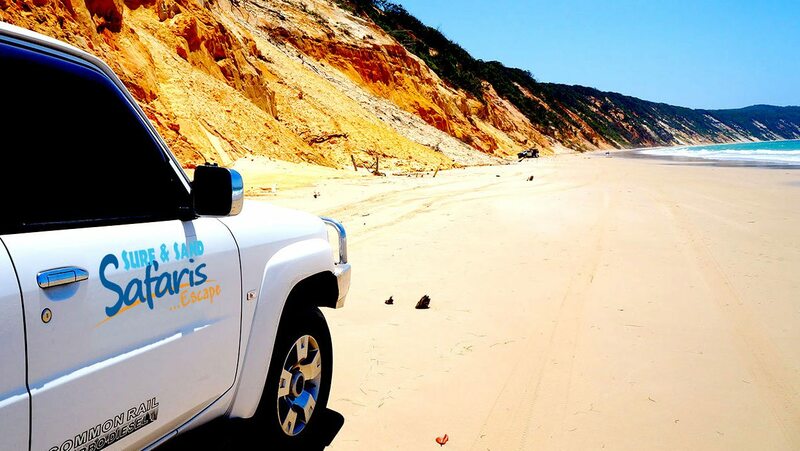 Half Day Tours depart morning or afternoon from Rainbow Beach, depending upon tides and beach conditions. Pick up is from Rainbow Beach accommodation houses, or Surf Club car park at the end of the main street. Morning or afternoon tea and bottled water is provided. 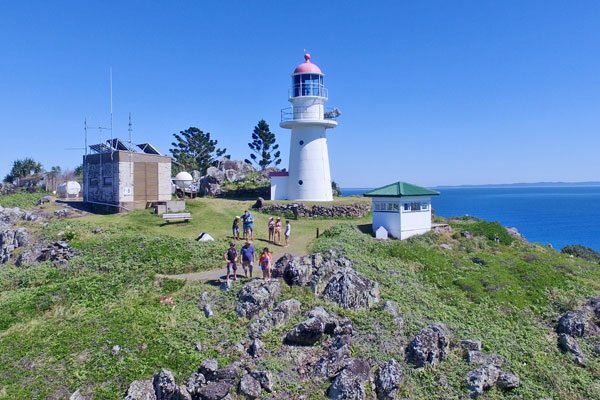 Double Island Point Lighthouse offers breathtaking 360-degree views across the Pacific Ocean and scenic surrounds of the Great Sandy National Park. It is here we often spot pods of dolphins, turtles, sharks, manta rays and the majestic Humpback Whales (season is June-October). We are the only Rainbow Beach operator with gate access to drive to the lighthouse, allowing you to see a parts of this popular spot otherwise missed. For cancellations with-in 24 hours no refund, for notice 24 hours and above a full refund will be provided or alternative date changes can be made. All no shows within 24 hours of travel will be charged. Surf and Sand Safaris reserves the right to operate substitute vehicles, amend tour timings and itinerary without prior notification. Prices are subject to change. Glen was a great tour guide. Extremely knowledgeable about the local area and the bus was comfortable to ride in. We had our 3 year old son with us and could easily put his car seat in the bus and Glen even packed him a juice for morning tea. Highly recommend doing this tour, the view from the lighthouse is amazing! 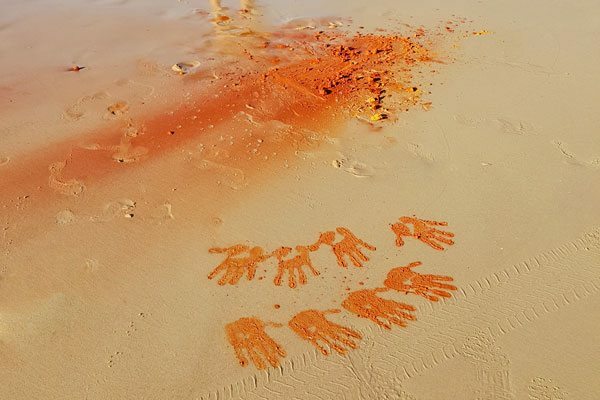 We visited Rainbow Beach and wanted our Sydney friends to see the best in half a day. This is the best value tour. Saw the rainbow sands, light house, rainforest, beach driving with morning tea provided. The guide was very friendly and knowledgeable about the area. 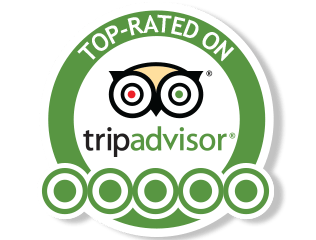 Best value tour of rainbow beach. Highly recommended. Glen was able to engage not only the adults with his ten plus years experience in his business but, importantly for me, the children also, during our half day tour. The ultimate compliment was when Master 10 asked if we could do the tour again tomorrow. I would think that this tour would epitomise Rainbow Beach, in my mind anyway, a word of advice, do not miss it. I was lamenting the following day that even driving there yourself would not give you the access to that fountain of information and patience to answer all your questions that might even make Google stumble! Glen was a humble host, thank you for the experience.